“I have sung at almost all great opera theatres in the world. 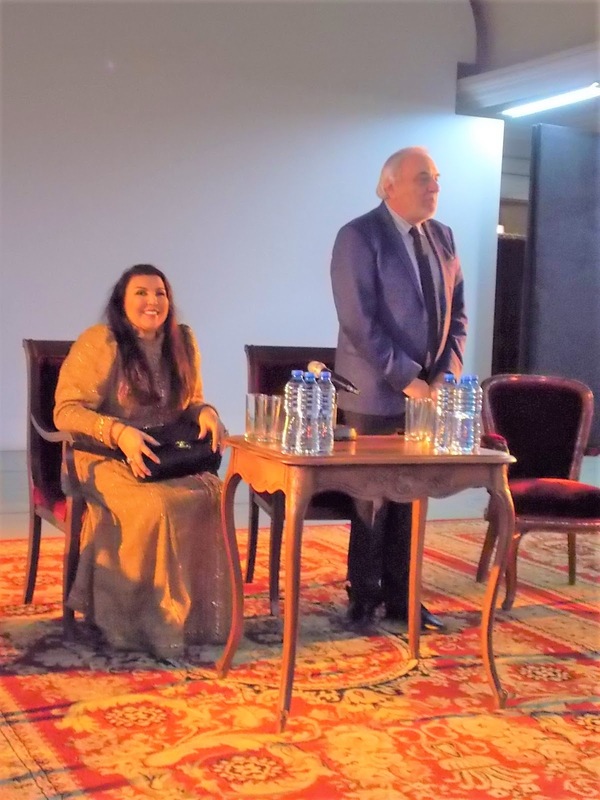 Now I am coming also at the Sofia Opera, in order to pay my reverence, respect and deference to the memory of the great voices of Bulgaria – Ghena Dimitrova and Nicolai Ghiaurov, with who we not only worked together, we were not just friends, but I feel them also like my parents. Each theatre is a temple and now I bow before the greatness of the Bulgarian singers”. 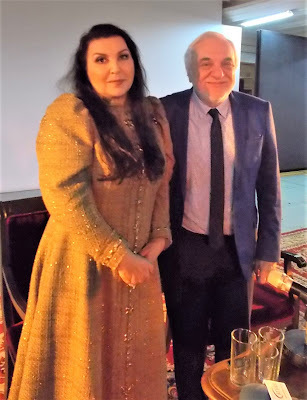 This is what said the opera diva Maria Guleghina, who arrived in Sofia to sing on the stage of our first opera theatre in the opera “Parsifal” by Richard Wagner, production by Acad. Plamen Kartaloff. The audience will have the chance to see and listen to the singer with world fame in two successive spectacles – on 30 January and on 1 February 2019, in the role of Kundry. Maria Guleghina is often called “Queen of Verdi” – because of her triumphal participation in the project of the same name, as well as because of her brilliant incarnations in all big roles of the Italian composer on the most prestigious international stages. Guleghina is the only Russian singer, who has performed in more than 160 spectacles at the Metropolitan Opera and has appeared in the main roles of 17 opera titles on the stage of La scala. The superlatives of the critique vary from “the Russian soprano with Verdi’s music in her blood” to “a vocal miracle”. 35 years continues Maria Guleghina’s successful career. She started at the Conservatoire in Odessa. Now she considers that her time there was as if not of the most productive ones. The real work in mastering of the singing art she achieved after that – with the lessons by Yevgeny Nikolaevich Ivanov, who gave her the bases of vocal mastery. “The professionally placed voice will sound everywhere”, said Guleghina. “In this hides the mastering of the school and the technique of the correct opera singing. If the voice is not trained, then, unconditionally, it will not be heard in the hall”. She admits that the work on each part requires time and hard work. “The bel canto is not only solfeggio, correct singing, breathing, phonation, phrasing, dynamics, interpretation, diction. Important is the state, the actor’s presence, the emotion. For the young singers today, the photo sessions are as if more important than the voice itself. The young people of today want to be known right away, to be on the magazine covers, they are looking for the outward brilliance, the quick fame. I don’t understand all this. I would like to recommend them to work exceptionally strictly with the scores, to make sense of each pause, to polish their voices. For every successful singer is important to find his or her teacher. But be careful! Today there are many people, who present themselves as teachers. And with participation in master classes one does not become a first-class singer”, pointed out Maria Guleghina. Her professional path started at the Minsk State Opera and Ballet in 1985. She didn’t succeed to sing on the stage of the Odessa Opera. She was awarded the title “Honoured Artist of Belarus”, when she was just 24-year old. She started an unsurmountable argument with the management of the theatre in Minsk and she insisted the opera spectacles to be performed in the original language. This fight brought her only troubles, as far as at that time it was adopted to sing only in Russian. However, the circumstances turned in her benefit. Now, from the distance of time, Maria Guleghina defines exactly these events as the challenge, which gave her the impulse to look for new horizons and to part abroad. Paata Burchuladze, who was singing successfully at La scala and knew her well, recommended the young singer and she received the exceptional chance and a contract to perform the role of Amelia from “Un ballo in мaschera” by Verdi. Maria was just 25-year old. She answered positively to the invitation of the Director Cesare Mazzonis and debuted, and her partner was Luciano Pavarotti. After the stunning success, followed invitations for participations at the celebrated opera theatres in Berlin, San Francisco, Chicago, London, Rome, Monte Carlo, Vienna. Her partners were legends like Luciano Pavarotti, Placido Domingo, Leo Nucci, Renato Bruson. She is thankful to Domingo, who gave her a helping hand and insisted she to come back on the stage after a hard moment – the loss of her mother. Guleghina two times escaped from the hospital, in order to be on one stage with the Maestro. The one time – because of the Jubilee spectacle at Covent Garden, when Domingo conducted, and the second one – when he entrusted to her Aida, regardless that she had missed all the orchestral rehearsals. She has worked with the conductors Gianandrea Gavazzeni, Riccardo Muti, James Levine, Zubin Mehta, Valery Gergiev, Fabio Luisi and Claudio Abbado. The stage director, who she points out for her teacher on the stage, who revealed to her the secrets of the actor’s mastery, is Piero Faggioni. Maria Guleghina doesn’t like to speak about her charity activity. Because of her active social engagement and big heart, she was awarded a Golden medal by the Moscow and All-Russian Patriarch Alexy II. She took part in the campaign of the White Rose Foundation, which is under the patronage of Svetlana Medvedeva, and collected money for fight with the women’s oncological diseases. She said that she wished and she would do everything to support people on an unequal footing. In Acad. Kartaloff’s production of “Parsifal”, which continues 3 hours and a half, are coded the esoterism and the metaphysics, the liberation of the souls. The spiritual brotherhood – this is the image of Parsifal. The spectacle is a feast of the senses, because the opera is being watched, listened to and even read – because of the surtitles. The work was called by the composer a festive mystical mystery. But it is also a show, as well as deep art. An experience, philosophical work, in which is being constructed a parallel world, in which the characters partner each other till the reaching of the state of Nirvana – enlightenment, awakening, ascent of the spirit. Love to the fellow-man and brotherhood between people are the production’s carrying messages. The Director of the Sofia Opera and Ballet Acad. Plamen Kartaloff announced that Maria Guleghina will come back after “Parsifal” again on the stage of our first opera theatre in the spectacles of “Tosca” and “Turandot”.